Salinger Privacy was established in 2004 by one of Australia’s foremost privacy experts. We offer a range of privacy resources including template policies and procedures, eLearning and face-to-face compliance training options, and privacy consulting services. Our clients come from government, the non-profit sector and businesses across Australia. No matter what sector you are in, we believe that privacy protection is essential for your reputation. In everything we do, we aim to demystify privacy law, and offer pragmatic solutions – to help you ensure regulatory compliance, and maintain the trust of your customers. Salinger Privacy is an approved supplier on the Victorian Government’s eServices Register, and a fully pre-qualified supplier to the NSW Government. Under the NSW Prequalification Scheme ‘Performance and Management Services’ (SCM0005), Salinger Privacy can be engaged, with no value limit, for business performance reviews and risk management advisory services, such as PIAs and privacy audits. We are also an approved seller on the Australian Government’s Digital Marketplace, in relation to our Compliance Kits, consultancy services, and training, learning and development solutions. 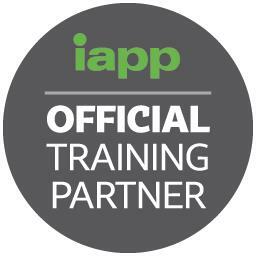 Salinger Privacy is an Official Training Partner of the International Association of Privacy Professionals. March 2019 – We have launched a Compliance Kit for NSW Public Sector Agencies. Packed with pragmatic guidance including 8 template documents, a briefing paper, checklist and handbook, plus all 5 of our eBooks including ‘the bible’ of NSW privacy law, this Compliance Kit is an invaluable time-saver for every State government agency, local council and public university in NSW. (In case you didn’t already know, we also have Compliance Kits for private sector businesses, NGOs and Australian Government agencies.) And we also launched our new online privacy training module, Privacy Awareness for NSW Public Sector Agencies. April 2019 – We are proud to announce that Salinger Privacy is now an Official Training Partner of the International Association of Privacy Professionals (IAPP), the global leader in information privacy certification programs specifically designed for professionals who manage, handle and access data, which are recognised and respected by employers the world over. We offer two IAPP certification programs: CIPM and CIPP/E. Fresh on the Salinger Privacy blog page: Tie up loose threads to avoid privacy risks. Check it out. See members of the Salinger Privacy team featured in podcasts, videos, and other media. Salinger Privacy can help you navigate the complexity of the regulatory environment, and ensure the trust of your customers. These details will be added to our mailing list to receive the Salinger Privacy eNews and Product News newsletters. You can unsubscribe or adjust your preferences at any time, from the bottom of any newsletter.